Post supports seem to be becoming increasingly necessary with the wet ground conditions. Different supports are stocked for different situations. Unless otherwise specified all these products are galvanised. Two main types here, standard and flush. 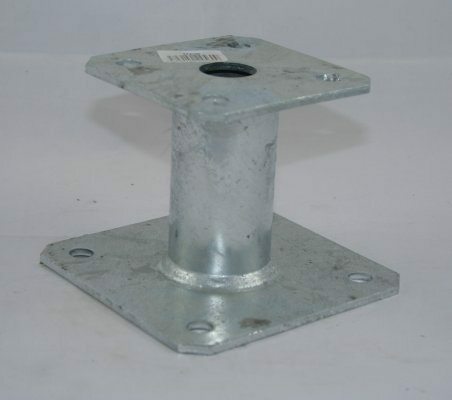 First of all, our standard bolt downs are manufactured from heavy duty galvanised steel and ideally should be used with a concrete multi-bolt to secure them to the substrate. 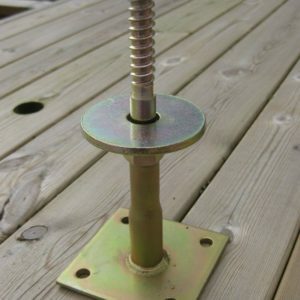 Similarly fix the inserted timber post with a carriage bolt to minimise any movement. Next, the Flush Fit Anchors are designed for use on hard surface such as concrete or brick. Because of their smaller base plate they can be used where space is at a premium. 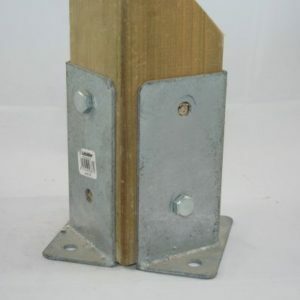 These products are designed to keep specific sized posts out of any potential standing water. 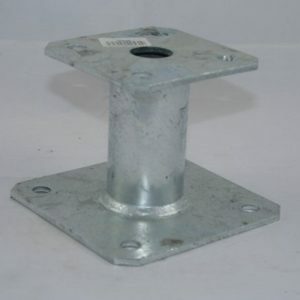 Designed to work with posts from 100mm x 100mm up to 200mm x 200mm. 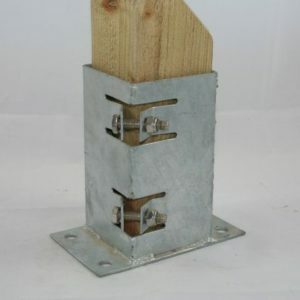 The Friulsider Split ground plates are designed to be used on non-standard sized posts. Sawn post are often oversize, especially when wet, and have to be dried or machined to fit. Decking planed posts can differ in size, for example we stock 95mm, 82mm and 70mm finished planed posts. 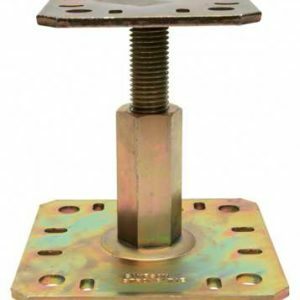 Standard post bases and anchors often have to packed out to provide a firm fix. However, using these Friulsider split ground plates in pairs helps to solve this problem. 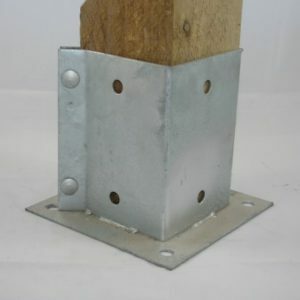 They help to provide a quick and secure fit on planed post and sawn posts alike.